Free cups of coffee were all Charlie Mustard wanted when he volunteered to roast coffee at Jittery Joe’s in Athens, Georgia. At the time, he was working on his graduate thesis at the University of Georgia in nutrition and chugging cups of coffee as he wrote. 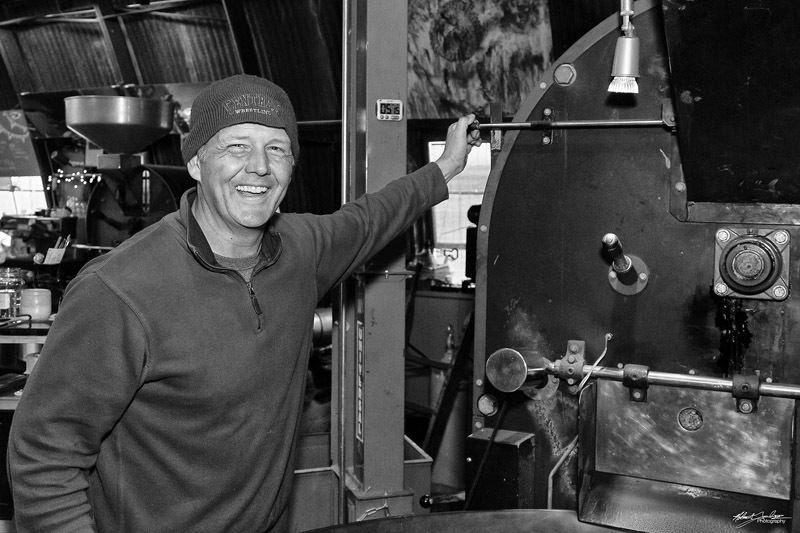 Twenty-two years later he’s still at Jittery Joe’s, but now as their head coffee roaster. Now he’s roasting batches from all over the world and has mastered how to get each bean to open the flavors indicative of their area. “If I am roasting a coffee from Tanzania for example, I am thinking about temperature, humidity, air pressure, size and density of the bean and how the bean was processed on the farm — to name a few of the variables” he said. Jittery Joe’s is now sold all over the Southeast, throughout the country and around the globe, including being the brand packaged for the Ritz-Carlton in Atlanta. Roasting has even taken him as far as Japan to teach, as well as learn techniques.